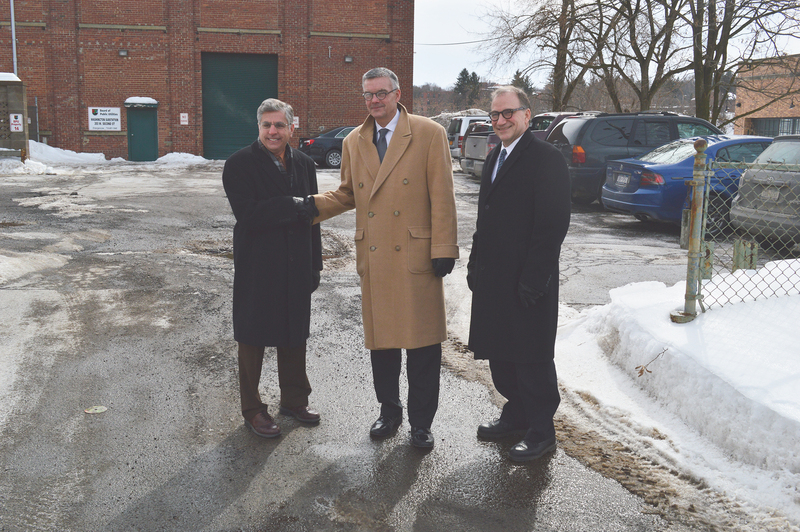 National Comedy Center officials and the City of Jamestown have agreed to terms on the purchase of a city-owned building and adjacent land at the intersection of Washington Street and West 2nd Street. The acquired property will be used for the purpose of developing and operating the National Comedy Center. The purchase will allow for an adaptive reuse and expansion of the former BPU building on the corner of Washington and 2nd Street to provide the total square feet needed for attraction space, construction of a connecting walkway to the East Wing of the Jamestown Gateway Train Station, the creation of a pedestrian walkway from Second Street to Comedy Center Park and the creation of a green courtyard outside the entrance to the attraction. When this space is combined with the area that will be utilized inside the Gateway Station, the total NCC exhibit space will total approximately 35,000 square feet. Fair market value for the acquired properties totals $130,000 and closing is slated to take place this summer when the Project has completed fund raising and has received site plan approval and necessary building permits. The National Comedy Center, a 501(c)(3) non-profit, is designed to be a national attraction based on the celebration of comedy: the craft and its contributors, and embodies Lucille Ball’s vision for her hometown of Jamestown, New York. Global leisure economics firm AECOM has been the financial feasibility consultant on the project, and estimates a $23 million annual economic impact on the region resulting from a projected 114,000 visitors. The visitor experience has been designed by world-renown creative firms: Jack Rouse Associates, and interactive specialist Local Projects, which recently completed work on the 9/11 Memorial Museum in New York. Construction on the newly-acquired property is targeted to begin in August, and the National Comedy Center is projected to open in the summer of 2016.